Doug Martin Jazz Guitar Musician, Composer and Gypsy Jazz Artist. Currently Beijing and San Francisco Bay Area jazz guitarist, Doug Martin, has performed with some of the finest artists on the West coast and abroad including Germany-based gypsy guitarist and composer, Lulo Reinhardt, Grammy award winning guitarist John Jorgenson, gypsy guitarist Mike Reinhardt, guitarist Paul Mehling of the Hot Club of San Francisco, Swedish guitarist Andreas Öberg, Dutch gypsy guitarist Paulus Schafer, French vocalist Jessica Fichot, as well as legendary jazz guitar virtuosos Howard Alden and Mimi Fox. 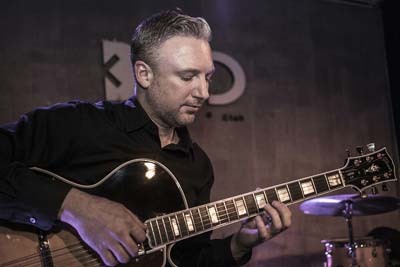 The Beijing based Martini Trio consists of jazz guitarist Doug Martin (San Francisco, USA), bassist Xu Guangjun, aka E.T., (Tianjin, China), and drummer Claudi Azizaj (Athens, Greece). The Hot Club of Beijing is a truly multi-national ensemble carrying on the tradition of Django Reinhardt's Hot Club of France in the 1930s and 1940s. The musicians of this diverse ensemble come from all over the globe including France, Greece, the United States and Xinjiang, China, adding their eclectic mix of international flavors to the gypsy jazz idiom. 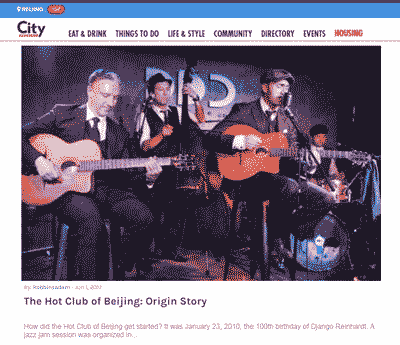 With such a diverse array of musical backgrounds and cultures, the Hot Club of Beijing offers a truly unique sound whether it's hard swinging jazz, hot latin rhythms, fiery gypsy waltzes or elegant ballads. Let us play for you! "Retro style meets gypsy jazz in Beijing. Hot Club of Beijing, a five-piece ensemble specializing in wild Django Reinhardt-style gypsy jazz. Having now watched them play, I can safely say these guys happen to be the most talented group of expat musicians I’ve ever seen or heard, hands down! Seriously, all swing aficionados, take a knee. 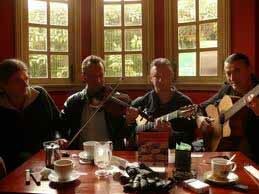 For more information on the Hot Club of Beijing and their gigs, visit The Hot Club of Beijing www.hotclubofbeijing.com. Check them out next time you’re passing through Beijing. Trust me, you won’t regret it. Written by Doug for his friend Karen Ellis ~"You can't march off to war in 3/4" and with the excellence of marvelous dancers! John Jorgenson Quintet and Doug Martin now plays in the Quintet with Grammy winner and three-time Academy of Country Music Guitarist of the Year, John Jorgenson who plays with the Desert Rose Band and the Hellecasters, and appeared alongside stars from Elton John to Bob Dylan, Sting to Willie Nelson. "Django really was the first guitar hero," says Jorgenson. "Django influenced scores of modern musicians, and his influence is heard across many styles of music and guitar playing. Pioneers like country legend Chet Atkins, pop icon and inventor Les Paul, and jazz innovator Charlie Christian were all directly influenced heavily by Django and attempted to copy his style and recorded his compositions. They, in turn, passed this along to all of their followers, including Wes Montgomery, Jeff Beck, Clarence White." bassist Simon Planting, gypsy guitarist Mike Reinhardt, French vocalist Jessica Fichot. fervor . . . recommended!" Doug continues to perform in various contexts playing both strait ahead jazz as well as what has become known today as "gypsy jazz", the style of swing jazz attributed to gypsy guitarist Django Reinhardt and violinist Stephane Grapelli. 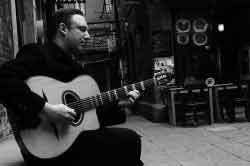 Doug has performed with gypsy guitarist Lulo Reinhardt in his Latin Swing project. Lulo Reinhardt, Samson Schmitt, Doug Martin, David Reinhardt. 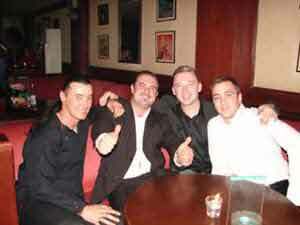 Cotton Club, Shanghai, China. October 2007. Background: San Francisco Bay Area native, Doug Martin, has been playing guitar since age 12. His passion for harmony, composition, arranging, improvisation was developed while studying classical and jazz guitar with his mentors: guitarist Allen J. Brown, pianist Charles “Gus” Gustavson, jazz guitarist Warren Nunes, and well known classical guitarist Charles Ferguson. Translation Help: Translate from English to Your Language. Use Limited To: Music is licensed under a Creative Commons Sampling Plus 1.0 License. Personal or business site only - not for reproduction for commercial resale. 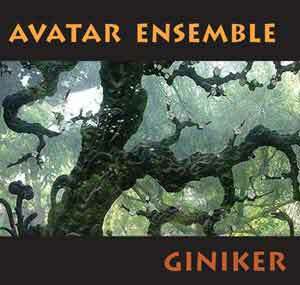 SITE DEVELOPMENT AND HOSTING BY THE GINIKER!